1. The first salary offer the employer makes is usually the LOWEST offer they can mention without feeling embarrassed. 2. The employer is fully expecting candidates to negotiate the offer, and will think twice about making you an offer if you DON’T know how to "play the game" of negotiation. 3. 80% of the outcome of your negotiation will be determined by your attitude and assumptions about this subject. 4. 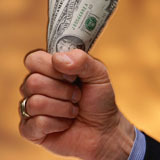 Anyone can learn to negotiate compensation effectively! You just need to learn a specific set of behaviors and phrases. • Computer Equipment, Laptop, etc. • And whatever else is important to YOU! • Obviously, you would not attempt to negotiate ALL these items – only the ones that are of most importance to you! Most candidates will select 3 to 5 items to negotiate. The Real Value of an Offer. At first, the offer above seems to simply be a $50,000 base salary. But when you incorporate all the “extras,” you quickly see that it’s actually a much more attractive offer, totaling $75,000! Remember to get the whole story before you judge the compensation! There may be much more to the offer than meets the eye. Once you understand the scope of the entire offer, you can go back to the hiring manager and negotiate those items that are most important to you. Enjoy the process! Copyright © 2012, Career Potential, LLC. All Rights Reserved. Permission to Reprint: This article may be reprinted, provided it appears in its entirety with the following attribution: Copyright © 2012, Career Potential, LLC. Reprinted by permission of Ford R. Myers, a nationally-known Career Expert and author of “Get The Job You Want, Even When No One’s Hiring.” For information about career services and products, visit www.careerpotential.com and www.fordmyers.com.